Living in Pandemonium, half-demon, half-angel Daphne has never fit in with her succubus sisters. So when her brother Obie disappears, Daphne leaps at the chance to leave Pandemonium and travel to Earth in search of him. It also gives her the chance to find Trumann, the wounded humen boy Daphne met once before. Together they make their way from Chicago to Los Angeles with something Dark and Dreadful on their heels, and something even worse waiting up ahead. This kind of blood-red, steel-gray cover seems to be trending lately. However, the metal is too abundant in this particulary cover, which makes it hard to admire the details. As well, the girl’s position is plain-Jane passive. The whole scene is just a little too frozen to be interesting, though it’s definitely evocative of the world of Pandemonium. Written in two perspectives, this YA novel puts a relatively fresh spin on the whole angels/demons theme. Daphne’s POV, the main one, is written in first-person present, while Trumann’s human point-of-view is third-person past, complete with a countdown clock at the beginning of his chapters. This goes to underscore the lack of time and flow in Pandemonium compared to Earth. The perpetuity is just one of the details Yovanoff applies skilfully to Daphne’s home. Subtle layering of angel and demon history plus steel gardens and eternal stillness make for one vivid world indeed -- but it’s a world that, when combined with the slums of the Earth cities, ends up maintaining a mood of doom and gloom throughout the entire novel. This atmosphere isn’t helped by Daphne’s own unnatural calm. Though partially explained by her heritage, it doesn’t make her any easier to sympathize with, and the only growth she ends up going through is the process of understanding love. Which leaves me with a niggling notion that she was a little too perfect to begin with. Truman, on the other hand, is almost too flawed, but at least his character development has an arc. The mystery that kicks off with Obie’s disappearance seems to meander, leaving the middle sagging while Daphne and Trumann travel a needlessly circuitous path track to the final confrontation. So the plot twist comes as a real shocker, and it will definitely grab the reader’s attention; however, more set-up in the forms of subtle clues and foreshadowing would help the true antagonist’s motives make more sense. 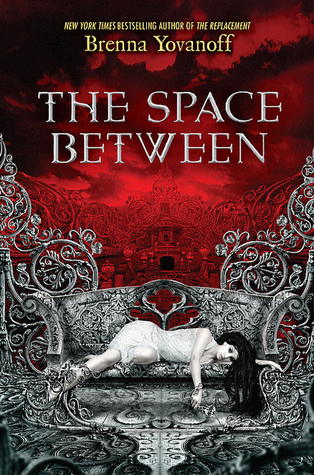 I should mention that there are side characters who are deft strokes of magic, like Petra, Alexa and Raymie; I should also mention that The Space Between is unique as a YA paranormal that stands alone. GASP. I know, right?